I love making omelets on the weekend- or my husband making them is even better. The problem is that they can be really hard to flip and tend to come apart easily. It is definitely difficult to make a pretty omelet. I was recently sent a LekueOmelet Cooker to try out and let me tell you, I can do nothing but sing its praises. 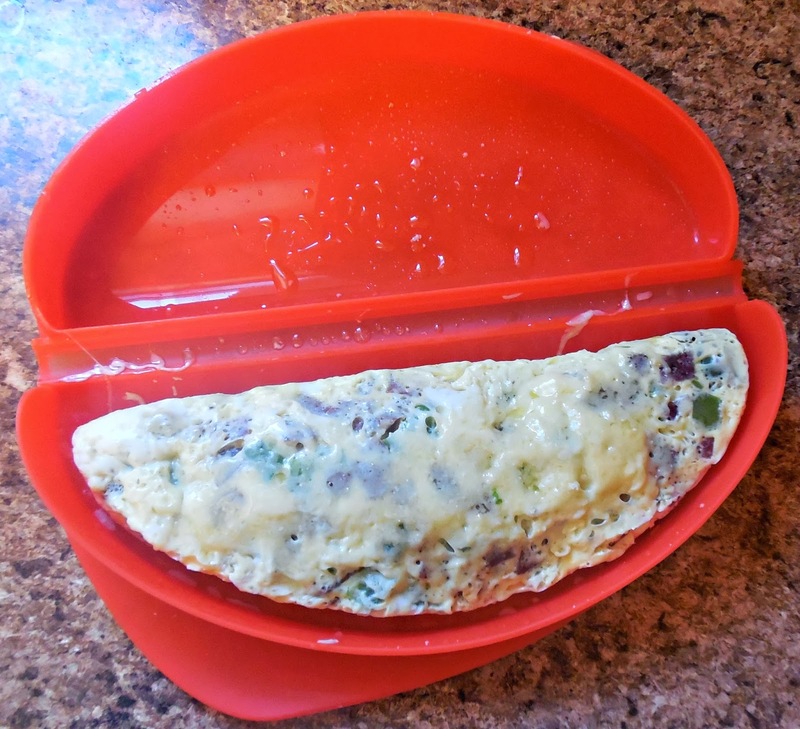 This silicone omelet maker lets you make your omelet in the microwave. I was definitely skeptical at first how the quality of the omelet would be and the look of the omelet but it turned out amazing. The omelet maker is very inexpensive at only $15. You can cook a plain omelet or add all of your favorite toppings. Of course, I had to add of the toppings when I made mine. 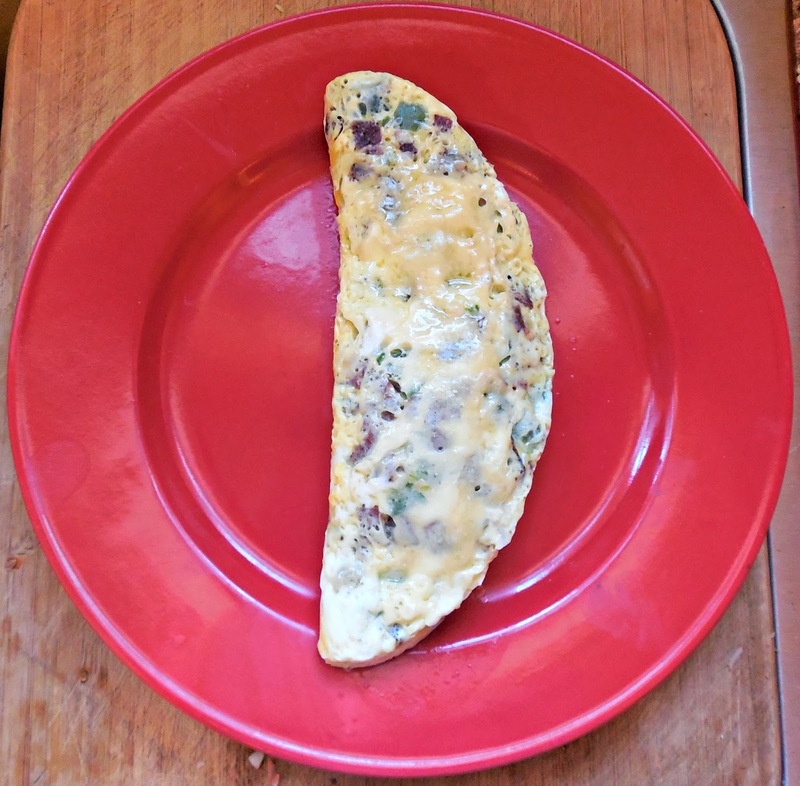 To make an omelet, you microwave the chopped veggies for 1 ½-2 minutes in the omelet cooker. Then, add your beaten eggs and cook for another 2 minutes. Flip it and cook another 30 seconds. Done! You can have a homemade, fresh omelet ready to go in just 5 minutes. 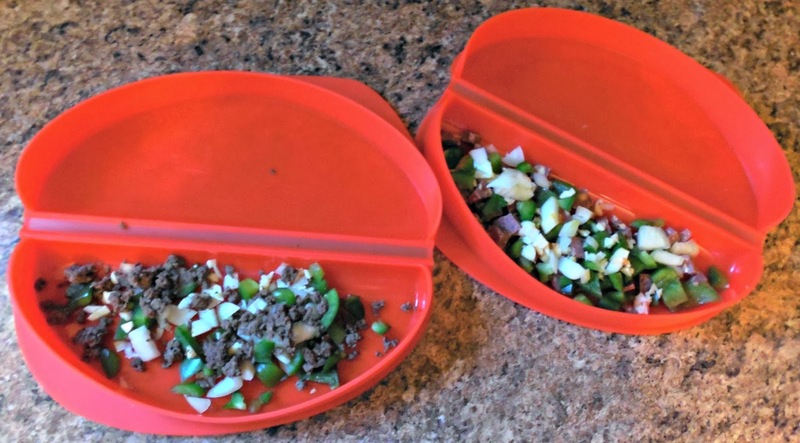 In my omelet, I added cooked potato, green pepper, onion and some leftover ground venison (a total pregnancy craving). With the eggs, I added onion powder, garlic powder and black pepper. On my husband’s omelet, I added a bit of shredded gruyere cheese. As you can tell by the pictures, the omelet turned out picture perfect. I did not add any oils, butter or sprays to the omelet maker and it didn’t need it either. The omelet did not stick to the sides at all which amazed me. I thought that it may be difficult to get out. The texture of the omelet was exactly the same as one cooked in the pan. I will probably not make another pan cooked omelet anymore. This was easy, delicious and quick. Disclosure: I was sent this omelet maker for free to try from Lekue. This was a partnership with thePlateBoutique. All opinions are my own.